Our ADC team strives to make dentistry more accessible and attainable. Access your new patient forms online! Please arrive 10 minutes early for your appointment and bring your completed paperwork with your insurance information (insurance card or book) and a current set of x-rays. At your first cleaning visit, we will perform a thorough evaluation of your periodontal condition, a clinical examination: including an oral cancer exam, any necessary x-rays and a prophylaxis (cleaning). This appointment will take approximately an hour and a half. If you have to be pre-medicated (with an antibiotic), prior to your first visit, please contact the office to discuss pre-medication requirements. Our policy regarding x-rays: Simply put, we require x-rays to diagnose your dental needs. If you have a current set of x-rays (full mouth within the last three years and bitewing x-rays within the last year) please request them from your previous dentist and have them sent to our office prior to your visit. If we do not receive these x-rays prior to your visit or you do not bring them with you we will need to take new x-rays and you will be billed directly for them. Last but not least, we would like to inform you that we do have a 24-hour cancellation policy in effect. If you are not able to keep your scheduled appointment, please contact our office immediately. Once again thank you for selecting our office. We are looking forward to seeing you at your first visit. Alternatively, you can download each of our forms and fill them in at home. If you have any questions regarding payment then please feel free to contact our team. Insurance solutions to make your visit easier. Our office is pleased to be participating providers for a number of dental insurance plans. In an effort to be as efficient as possible in the processing of your insurance claims, we submit them electronically. At Aesthetic Dentistry in Charlottesville, we participate with a number of other insurance companies. Please contact our office at (434) 984-3455 for more details. My first time at Aesthetic Dentistry of Charlottesville was a great experience. 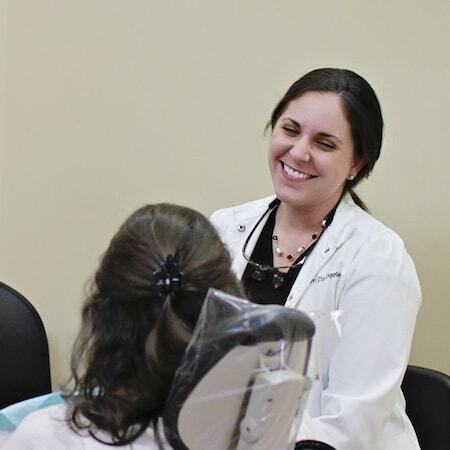 The staff was very friendly, knowledgeable and happy to provide services to make me feel better about my smile. I was given a clear path of steps that needed to be taken and was given an explanation why, which is exactly what I was looking for! I would highly recommend their services to anyone! The staff is amazing! I was always greeted with a smile. Procedures were explained before and during the moment, as per my request. The doctor took adequate time to explain images on the X-ray and made sure I understood. I didn’t feel like I was spoken down to. I felt like the staff truly cared about my health and well-being. I’m confident they will take great care of me. Aesthetic Dentistry always does a great job. Appointments are always right on time. Melissa is very good. They always seem to remember who you are don’t treat you as just a patient. Very good at their job and Dr. Barta is always very friendly. Great at his job. Love the whole staff. To help alleviate any anxiety, here is a step-by-step guide of what happens during your visit. Skylor and Becky welcome you to our dental practice and by your second visit will do so by name. From the outset, the team is very friendly and is happy to answer your questions. We make sure you are comfortable and know where everything is in the office. One of our hygienists or assistants will take you to our treatment rooms and discuss why you have decided to visit the dentist. Next, we strive to get in tune with your needs and examine your mouth. We check you are comfortable throughout and explain each exam. After the initial exam, one of our skilled dentists will discuss our findings and carry out any additional exams. You can use this time to ask any questions while our doctor presents your options and you choose how to move forward. Next, our experienced team goes over your financing and makes accurate estimates. We discuss your insurance options and arrange a time convenient for you for the next visit. After you are home, we follow up with a feedback email and really listen to what you say. Caring for your health is what we love to do!